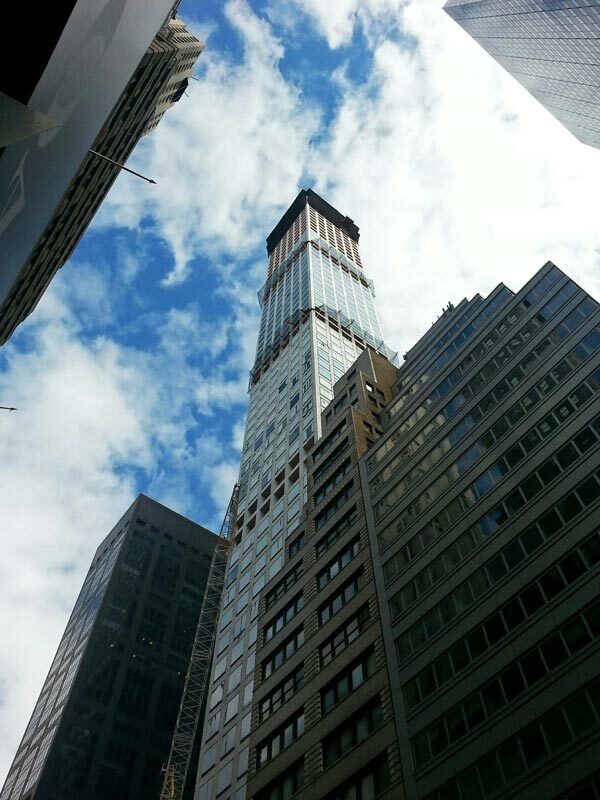 432 Park Avenue has continued its rapid ascent, and the Vinoly-designed tower now stands over 1,000 feet tall; as of this week, the building’s core is at the 68th floor, while the perimeter walls are at 66. 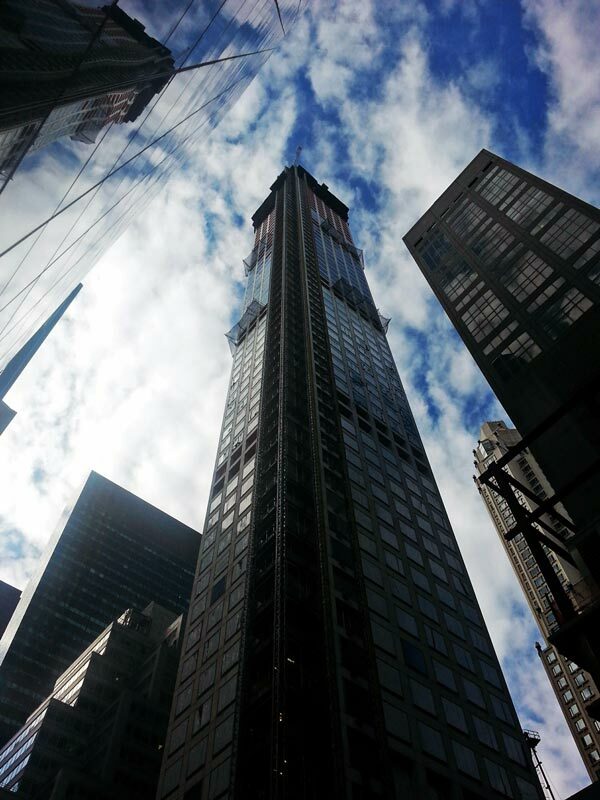 That puts its height at 1,054′, which is taller than any rooftop north of the Empire State Building. CIM and Macklowe are developing the building, which has nearly 350 feet to go before topping-out; 432 Park Avenue will eventually total 1,397′, which will put its roof above One World Trade Center’s. 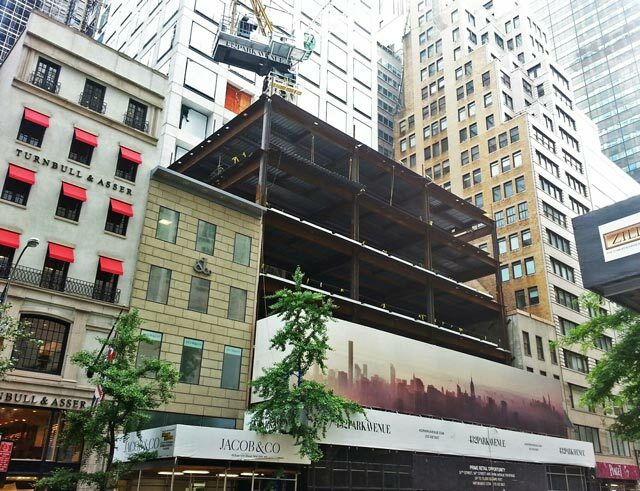 Since last month’s update, the structure has risen nearly 100 feet, pushing it above the Midtown plateau. 432 Park’s impact on the skyline is just now becoming obvious, and it dominates the vicinity, topping both Citigroup and Bloomberg Tower by a significant margin. 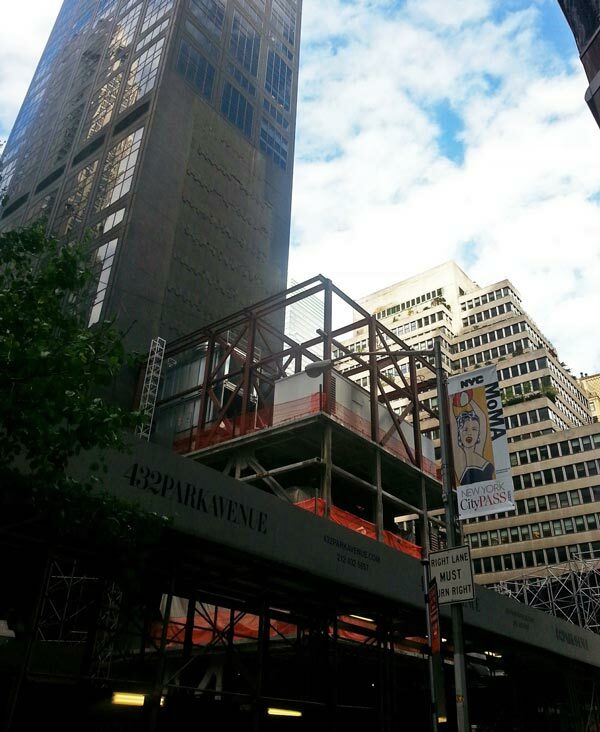 Already visible from parts of New Jersey and Long Island, its prominence will continue to grow, and even One57 will soon look diminutive compared to Vinoly’s vision in concrete. Traversing the 1,000′ milestone is significant as so few buildings in New York have broken the invisible barrier, though that is about to change. 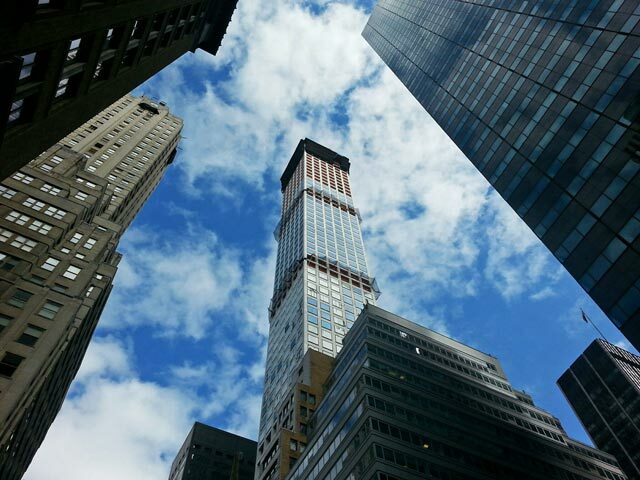 While One57 pierces just above the mark — and was the first residential tower to do so — 432 Park Avenue will shatter it. 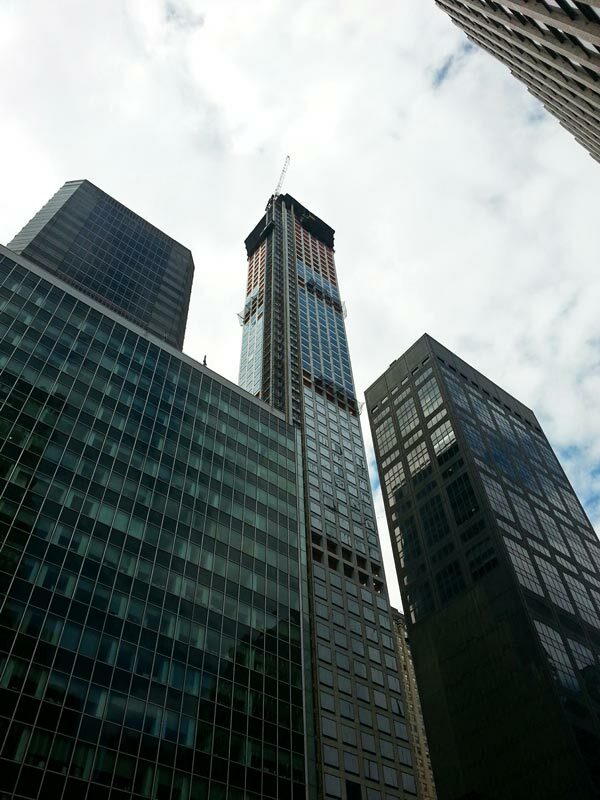 One year from now, 217 West 57th Street and 111 West 57th Street will also be rising, eventually joining CIM’s supertower at the height of the skyline.